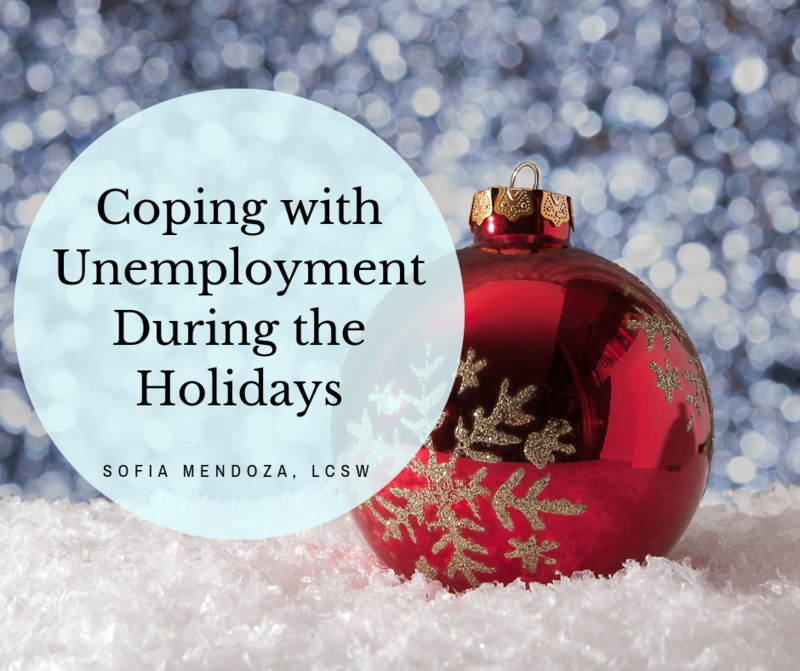 Dealing with unemployment and limited finances during the holidays can be stressful for many. Below, I’ve made a list of 10 ideas for coping that can help you and your families during this challenging time in your life. 1. Update Resume. You can use this time to update your resume, filling it details of the jobs and skills you have to offer employers. 2. Seasonal Jobs. The holidays are a great time to apply for seasonal jobs. A lot of companies are looking to hire people for the busy holiday season. 3. Quality time. The best thing about the holidays is spending quality family time together. The kids are out of school and time seems to slow down a bit for many. Focus your energy on being present with your family, instead of focusing on presents. Quality time can look like playing games, movie night at home, cooking or even relaxing together. Give your family members the gift of time. 4. Monitor your “should” statements. “I should be doing more;” “I should be buying more;” “I should make everyone happy.” When we “should” on ourselves and others, we place a lot of importance on unfair expectations. Practicing acceptance of reality exactly how it is in the present moment, can help you come up with a plan for feeling better about the situation, or “letting go” of the unfair ideas you have about yourself. If you notice you’re having a lot of these should statements, talk to your therapist or someone you trust about coming up with more balanced statements. 6. Gratitude. Making a list of the things you appreciate and are grateful for can really impact our mood positively. The more you give thanks for even the smallest of things, like a warm blanket, kindness you give or receive, or the ability to breathe can help us feel connected and uplifted. Teaching children to express gratitude can also help them in bouncing back from a stressful life event. Studies have shown that the more we turn our brains to focus on the positive, the more opportunities for the “feel-good” hormones are elicited. 7. Your Talents. Think about how you can use your strengths and talents to make gifts, appeal to employers, put down on your gratitude list, and even make extra money on. 8. Adjust budgets. Budgeting is a great life skill on its own. It’s extremely important during the holidays too. Prioritizing basic needs like food, shelter, transportation are at the top of the list since it’s crucial for safety and existence. Knowing what you have to work with can help you come up with a plan for your spending. 9. Accept help from others. This is another one of those important life skills on its own. It’s crucial that we ask for help when we need it and accepting help from others when offered. This can look like signing up for an Adopt-a-family program, attending community events where they gift toys and food to families, spending the holidays with other families. Sometimes we are our own barriers to receiving help. 10. Relax and Recharge. Although being unemployed is a clear stressor, take some time to relax and recharge. Before you know it, you’ll be starting a new job and dealing with the hustle and bustle of dropping/picking kids up from school. Find no-cost ways of enjoying the city you live in, find as many opportunities to laugh, or engage your 5 senses (smell, touch, taste, hear, see) in the present moment to help you decompress. All in all, know that you taking in moment by moment, day by day will help you tolerate any challenging emotions during the holidays (and even post holidays). Be easy on yourself and seek support from friends, family, religious institution or social services. Please note that this post is strictly for ideas and does not replace medical and professional help. I strongly encourage that you engage in therapy or speak with their medical professional about any of these ideas. If you find yourself in a medical emergency where you or a loved one is a danger to themselves or others, you are strongly urged to call 9-1-1 or go to your nearest emergency room. The National Suicide Hotline number is: 1-800-273-TALK (8255). In Los Angeles County, you can also call the Department of Mental Health’s Psychiatric Mobile Response Team – Access Hotline at 1-800-854-7771. 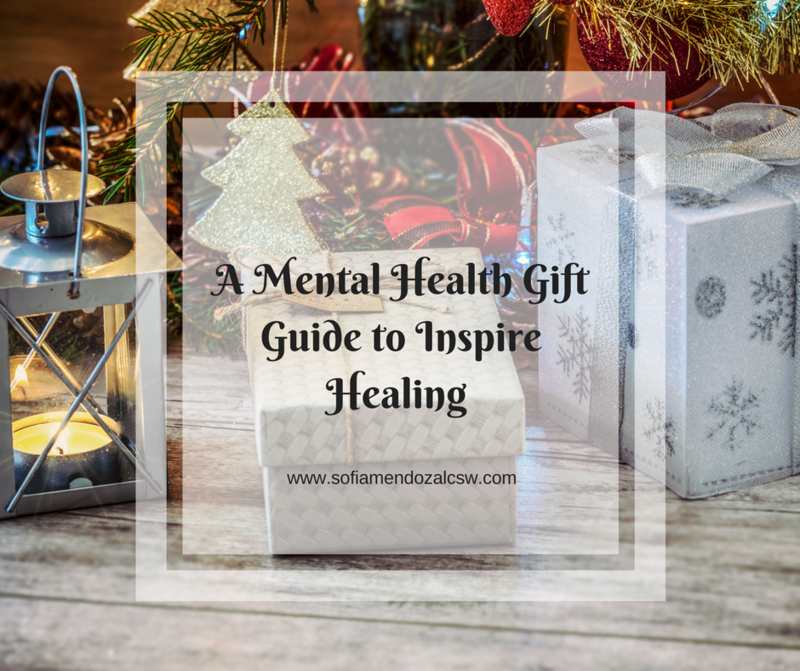 Aside from recommending professional help for yourself or a loved one (this is always my #1 recommendation), I’ve put together a mental health gift guide. 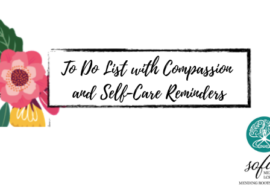 Many of these items are great tools for healing and inspiring awareness, self-care, and self-compassion when we need it the most. I’ve also included links (note: many of these links are amazon affiliate links. That means that I earn a small commission on items purchased from this list. Proceeds go to supporting this page. See disclosure statement below) to my favorite books that have aided in the healing process of many individuals I’ve come across, including myself. You can buy these gifts for others, but also for yourself! 1. Planners/Gratitude Journals. Studies show that expressing gratitude significantly aids in recovering from depressive episodes. This journal is my favorite as it’s prompts are thought provoking and easy to fill in. The Passion Planner is a great planner that has monthly reflective exercises. 3. To inspire career/employment ideas. People struggle with knowing what they like, how to make passions into careers, or even how to get in to certain professions. These resources can help people explore all these facets. I love the children’s book below, because it explains entrepreneurship and start ups in such a simple way, that it encourages us all to turn ideas into reality. 4. Adult coloring books. Coloring can be soothing for a lot of people. I often have clients experiment with coloring when we talk about ways to incorporate daily pleasant activities and self-care. Adult coloring books are always at the top of the list. There are so many of them with inspiring, funny and calming themes. 6. Hope/Cope/Memory Box. A box or container of sorts can be useful in storing positive messages or items that help the individual feel connected, loved, sense of purpose, meaning, and reminders to cope. Some people call it their “emergency tool kit” or ICEE (in case of emotional emergency) Box. Fill it with your loved ones favorite self-soothing items. Memory boxes for deceased loved ones can also be a great vessel for holding memories. Here are some ideas for experience gifts: Museum memberships, donation on their behalf to their favorite charity, massages/facials (Sacred Skincareapy is my go-to for facials), art/sip/wine classes, a short trip, movie tickets, restaurant gift card, spa entrance (Glen Ivy is my favorite for a Mental Health Day), homemade gift card/coupon with low cost ideas such as hiking, exercising at the beach, yoga classes, attending an outdoor craft fair. My favorite website to find out about events and experiences for the kiddos in Long Beach/Los Angeles is Long Beach Littles. *Disclosure statement: Please be advised that some of these links are affiliate links where I earn a commission when they’re purchased. Others are simply my favorite in Los Angeles County. Please note that this guide is strictly for ideas and does not replace medical and professional help. I strongly encourage that you or your loved one to engage in therapy or speak with their medical professional about any of these items. If you find yourself in a medical emergency where you or a loved one is a danger to themselves or others, you are strongly urged to call 9-1-1 or go to your nearest emergency room. The National Suicide Hotline number is: 1-800-273-TALK (8255). In Los Angeles County, you can also call the Department of Mental Health’s Psychiatric Mobile Response Team – Access Hotline at 1-800-854-7771. Watching a loved one suffer though a chronic, declining or terminal illness can be painfully intolerable. This very article and topic can be super triggering for some, so know that you can read a little bit at time, or at a pace that feels digestible for you. The first thing I want to help validate is that whatever emotion you as a loved one is experiencing is valid. You should also know that that it’s completely normal for there to be major variability in how you and the rest of your family/friends will react to the news about a terminal diagnosis. As your loved one progresses through their illness, there might be different stages where you will witness their illness progress and their functioning decline. That’s hard to watch, try to digest, and completely normal for any loved one. In this post, I’ll write about different things you’ll want to consider for your own coping in this process. You as a loved one and/or a caregiver will need to take care of yourself so that you can be a pivotal part of your loved one’s illness and journey. 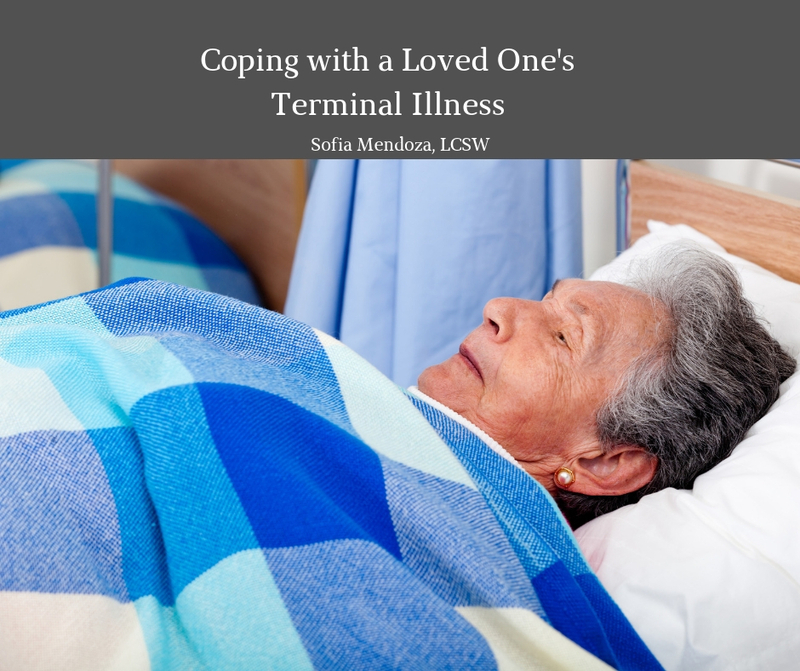 It’s not an exhaustive list, therefore, I urge you to be in touch with your loved one’s treatment team to ask for help and any resources they might have for you as the patient’s loved one or caregiver. Finding (realistic) pleasant activities you can do for yourself (going on walks with your BFF, baking, crochet, yoga, stretching, dancing, play dough, sports, hiking, swimming, etc). Pleasant activities help you add gas to your tank. Engaging in the things that soothe you using your 5 senses (taste, touch, vision, hearing, smelling). Doing these things with awareness and intent, can help you pass the time during the most difficult moments. A favorite lotion, warm tea, ambient music (or any music that’s soothing to you, like nature sounds), fresh cut flowers, a weighted blanket to sleep can all help you fill up your tank or reduce your emotional vulnerability (note: many of these links are amazon affiliate links. See disclosure statement below). For other ideas on items that promote comfort check out an older post focusing on items that inspire healing. Finding meaning in the suffering is something that comes up a lot in resilience and post traumatic growth. Your pain and suffering over watching your loved one suffer means that you care deeply for them. Inform yourself. Inform yourself about the diagnosis by asking your loved one’s doctors for reading material, websites, support groups, books. Knowing about the illness can help prepare you for what’s to come and can give you tips about how to make your loved one more comfortable. Cancer is a monster of a disease that can look differently in each person. This Advanced Cancer booklet titled “When Someone You Love Has Advanced Cancer,” is a comprehensive resource that can provide important information about the illness, the process and lots of wonderful suggestions. Amazon and other bookstores can be a great resource to find specific books for the particular illness your loved one is diagnosed with. I also have an extensive list of book recommendations here. Respite. Finding sources of respite is going to be incredibly important for you as a caregiver, but also for your loved one. Having someone else help you with cleaning, caregiving or other supports can be helpful. Talk with your loved one’s doctor, social worker or case manager to see if there are respite resources that can help. For example, in California, there is In Home Supportive Services that’s an alternative to out-of-home care. They have specific criteria (like having medi-cal is one of them), but the doctor can tell you if your loved one is eligible for the program or if there is another that offers some type of respite support. There is also Access Transportation services that can help with transportation to medical appointments. Support Groups. Support groups are a great way to get support from people going through the same thing as you. Ask your loved one’s doctor if they know of any for that particular issue, or look online. Facebook also has lots of groups that you can virtually participate in. They can help you feel less alone and normalize what you’re going through. While everyone’s grief and vulnerability is different, having the experience of connection during this difficult time can make all the difference. Medical Providers. Your loved ones medical providers are going to be crucial for you and your loved ones. Make lists of questions for them to answer at dr. appointments. Keep a notebook where you are jotting down questions, things to clarify or even signs and symptoms they need to know about. Nearing the end of life. While death is a natural part of life, it doesn’t make it any less painful to deal with. The reality is that some of you and your loved ones will be dealing with this painful stage together. As a mental health practitioner, I can’t stress enough engaging in your own mental health treatment for depression, anxiety and grief while in this stage. I also found a good resource that about Nearing the End of Life that you can read more about here. You’ll also want to have the difficult conversation about life planning, what dying with dignity or what quality of life during this stage means to your loved one. How to help your loved one. There’s so much to say about this. In short, I’ll say that you can’t help them unless you help yourself. Do what it takes to get you to the most compassionate, validating and patient place in your heart. When we’re stressed, grieving and dealing with competing priorities, we’re vulnerable to our emotions and react. If you can imagine a bear caught in a trap reacting in rage if someone gets near it (have you ever stubbed your toe and cursed so loudly your neighbors heard?). It’s pain. Pain can make us react with rage, anger or irritability. Reminding yourself that you or your loved one is in the “bear trap” and following up with compassion is what can help both of you the most. Finally, I hope this post was helpful in you realizing that you too are a priority in your loved one’s care and death. It’s never easy and always painful. May you find comfort in knowing that it’s incredibly painful because your love for them is so great. *Disclosure statement: Please be advised that some of these links are affiliate links where I earn a commission, percentage, a big thank you or a high five when they’re purchased. Others are simply my favorite in Los Angeles County. Please note that this post is strictly for ideas and does not replace medical and professional help. I strongly encourage that you or your loved one to engage in therapy or speak with their medical professional about any of these items. If you find yourself in a medical emergency where you or a loved one is a danger to themselves or others, you are strongly urged to call 9-1-1 or go to your nearest emergency room. The National Suicide Hotline number is: 1-800-273-TALK (8255). In Los Angeles County, you can also call the Department of Mental Health’s Psychiatric Mobile Response Team – Access Hotline at 1-800-854-7771. Coping through an emotional crisis can be incredibly tough. Here are some do’s and don’ts on coping that can help you get through it. Please note that these are ‘band-aid’ and temporary skills that one can use to get through the most difficult parts of a crisis. You are urged to seek professional or medical help if the coping attempts don’t work, the situation doesn’t subside, or the crisis gets worse. Feel free to share this or download the pdf for free here. If you find yourself in a medical emergency where you or a loved one is a danger to themselves or others, you are strongly urged to call 9-1-1 or go to your nearest emergency room. The National Suicide Hotline number is: 1-800-273-TALK (8255). In Los Angeles County, you can also call the Department of Mental Health’s Psychiatric Mobile Response Team – Access Hotline at 1-800-854-7771. 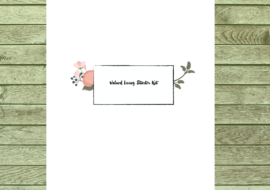 Infographic created on canva template. Linehan, M. (2014) DBT skills training manual, second edition. The Guildford Press.